Patient after biliodigestive anastomosis has dilated intrahepatic biliary ducts in the left liver lobe. 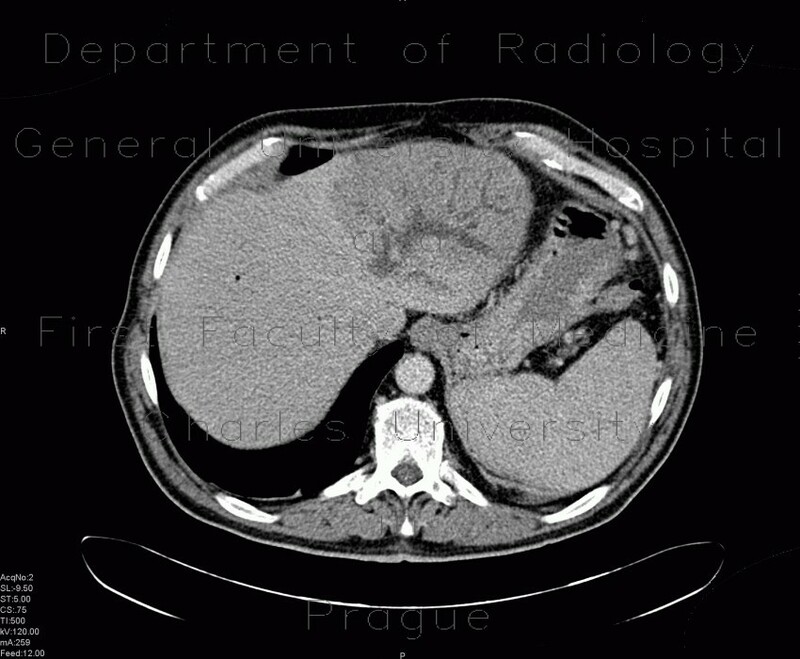 Note also decreased density of the left liver lobe due to hepatopathy. Pneumobilia in some intrahepatic ducts in the right liver lobe as a sign of patent anastomosis.